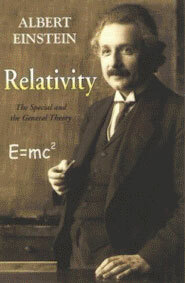 To physicist Einstein (author, Theory of Relativity) everything is Relative; to cosmologist Birnbaum, (author, Summa Metaphysica/Potentialism Theory) Relativity is nice for macro-physics, but to get one’s arms around the entire cosmic order (super-macro-physics), one needs to work with a more overarching concept – Potential. See PotentialismTheory.com. Birnbaum likes Potential because he can play with the term and resolve virtually all the key questions in metaphysics and its related field of cosmology – with one quite-concise theme and formula. So, with minimal pivoting, Potential emerges as the ultimate ‘plug’ in metaphysics/cosmology. # By Definition, Potential/Possibility is eternal. # It is Self-evident that Potential/Possibility is eternal; there is, indeed a universe; thus, there must have been the Potential for it to exist. Birnbaum believes that his little By Definition/Self-evident ‘1-2 punch’ seals-the-deal that Potential/Possibility is eternal; he may just be right; and it’s nice to solve a 7,000 year-old conundrum with a conceptual finesse. Potentialism was discerned by metaphysicist and cosmologist David Birnbaum of Manhattan. Harvard and yeshiva-educated Birnbaum is an intellectual maverick; but he is a demanding and highly-disciplined intellectual warrior. In the 25+ years since the introduction of his Potentialism Theory (aka Quest for Potential∞ Theory aka Q4P-Theory) in Summa Metaphysica I by Ktav Publishing (NJ), no flaw has been discerned in the elegant theory. Per Birnbaum, Infinite Quest for Potential drives the universe forward towards the super-extraordinary via its intermediate dynamic – Complexification. Notated C+, Complexification is a cornerstone of Potentialism theory. See Glossary1000.com. In the series, Birnbaum explains that the universe is ruled by a central equation, Q4P∞ → E+. The formula dictates that the Infinite Quest for Potential∞ drives the universe towards an ultimate goal – of the super-extraordinary, or, in Birnbaum’s lexicon, Extraordinariation (E+). This E+ is the ultimate state of super-complexity on both a mechanical and metaphysical level – thus the greatest hypothetical level of super-complexity in all forms. E+ is actually a goal/horizon to be sought-after, but never quite realized. See https://www.summametaphysica.com/cosmic-journey/. Driving the universe towards this E+ on a day-to-day basis is the cosmic workhorse, Potential's handmaiden, Birnbaum’s hypothesized C+, or Complexification. This intermediate dynamic (in between Quest for Potential∞ and E+) is what advances and shapes and iterates the universe in ever-greater degrees of super-complexity. To understand C+, it is necessary to distinguish it from mere complexity-advance. We must differentiate between the two terms inasmuch as while Summa Metaphysica I (1988) touched-upon Complexification (C+), contemporary (2014) cutting-edge physics (Seth Lloyd of MIT for example) now deploys complexity-advance as centerpiece in a mechanistic cosmological model. See Intermediate1000.com. The simple issue is that complexity-advance does not get us to Extraordinariation (E+); however, Complexification (C+) does. See ParadigmChallenge.com. Complexity-advance represents only incremental/linear advance in layers of complexity; C+ incorporates neo-quantum advances – via increased complexity, sophistication, richness, integration, diversity and wondrousness. Thus, plain vanilla complexity-advance is but one of multiple components of Complexification. It is sometimes easiest to juxtapose complexity-advance v. Complexification side by side to more clearly see understand the differences. Unlike plain-vanilla complexity-advance, C+ is consonant with our teleological model. The Cosmic Order, and, in parallel, life on Earth, advances through intermittent neo-quantum jumps towards the ever more extraordinary. These are not simply direction-oriented linear/incremental advances; these are profound advances in the cosmic march towards E+. The emergence of life, language, consciousness, and emotion, for example, simply cannot be labeled as purely linear advance. However, through C+, not only is the emergence of multi-cellular life from single-cell life better understood, but also aesthetics, love, music, art and morality. Put another way, C+ in the equation explains the advance of Evolution; Complexity-advance alone does not. C+ also helps describes advance in quantum terms. Complexity-advance is a well enough tool to describe day-to-day shifts. Complexity-advance gets us, if you will, incremental, linear change. But the truly quantum changes, those redefining moments in the nature of the universe, require C+ and a more profound shift in the nature of existence. When speaking of complexity, you may be able to isolate the differences between a hydrogen atom and a helium atom, but how does complexity describe the fundamental change that gave rise to the first molecule? This is where complexity-advance begins to be wholly inadequate. Not only that, but complexity-advance alone utterly fails when trying to describe any form of non-physical complexity. More to the point, complexity-advance can only take us only so far in explaining natural selection and evolution. ‘Plain vanilla' complexity-advance falls apart when trying to explain universe ‘luxuries’ such as music, art, humor, romance, altruism, spirituality et al. These ‘luxury’ aspects of the universe hardly seem to be 'survival traits'. Undeniably, these are all qualities we associate with the highest life forms we know of. So, it seems that the term complexity-advance has limitations and is simply incapable of capturing all that that is actually occurring. Birnbaum re-iterates that a cosmological theory must be universal – and true on all levels, from the macro to micro and everything in between. Moreover, a cosmological theory must be as true for physical forms and matter as it is for concepts and ideals. Thus the evolution of thought, emotion and spirituality must advance just as the physical universe does. And it has. Just as the universe has grown from particles to atoms to molecules and stars (as a result of C+), so has consciousness grown from instinct to reason to art to morality and altruism (again as a direct result of C+). Complexification (C+) yields-us the Common Denominator of 14 billion years of cosmic history/evolvement. Complexity-advance does not. See SummaCoverage.com. To encapsule the issue, Complexification gets us from a single-cell organism 4 billion years ago to Beethoven completing his 9th Symphony in 1624; Complexity-advance simply does not; the leaner dynamic simply does not have the ‘firepower’ – multi-dimensional breadth and depth – to catalyze the endless extraordinary morphings necessary to get us from a single-cell organism to Mr. Ludwig van Beethoven. See Beethoven1000.com. Complexification (C+) is a powerful dynamic; however, one should not be overly tempted in setting it up as a stand-alone metaphysics; it works as an intermediate dynamic, but fails as a stand-alone metaphysics. Why? C+ has the ‘tail-wind’ of Quest for Potential breathing cosmic energy/chi into it from eternal origins, and is beckoned-forth by Extraordinariation ( E+) at infinite horizon forward; C+ (conceptually and reality-wise) only ‘works’ when bracketed by these two infinite, Potential-suffused metaphysical bookends. See also TheoryCore.com. Recent hi-level scientific/academic works offering the nuts & bolts for the mechanism of Complexification (first introduced by Birnbaum in 1988 via Summa Metaphysica I, Ktav) include the following: See also xMIT1000.com. Our Mathematical Universe (Knopf, 2014) by Professor of Physics & Mathematics Max Tegmark of MIT. Vindication via MIT is nice.